For this episode, we are joined by Soren Narnia (@SorenNarnia), friend of The Bloodlust and mastermind behind Knifepoint Horror. If you haven't listened to Knifepoint Horror yet, do yourself a favor and go do it. Synopsis: While on a tropical vacation, sisters Kate & Lisa decide to throw caution to the wind and join Captain Matthew Modine and his crew on a rusted and very unsafe-looking cage-diving adventure. 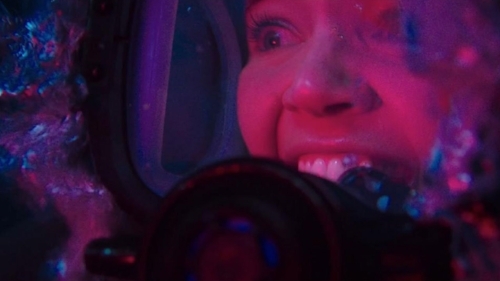 Shockingly, things go terribly wrong and the sisters soon find themselves trapped in a cage at the bottom of the ocean (with very little oxygen and a gang of bloodthirsty sharks). Join us next time as we review the cannibal lovestory, The Bad Batch, by director Ana Lily Amirpour (A Girl Walks Home Alone at Night).